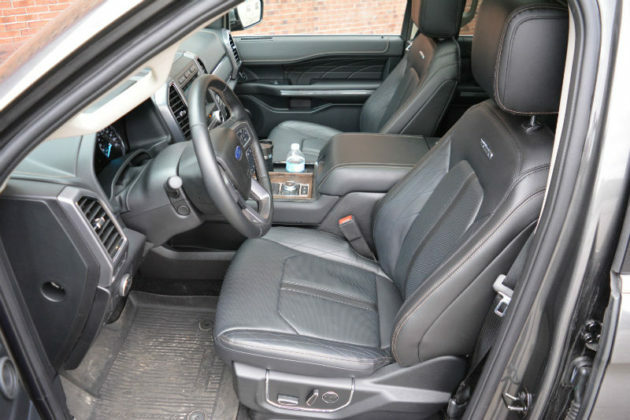 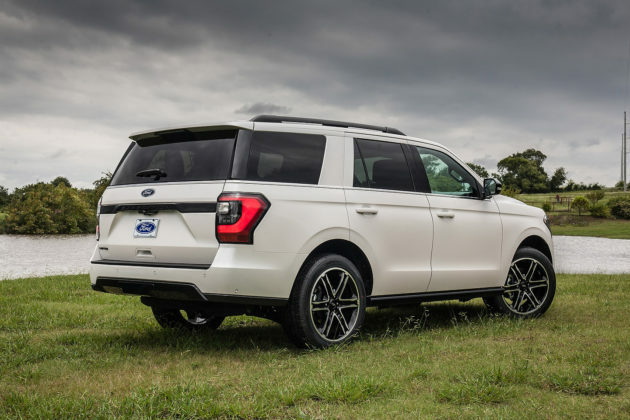 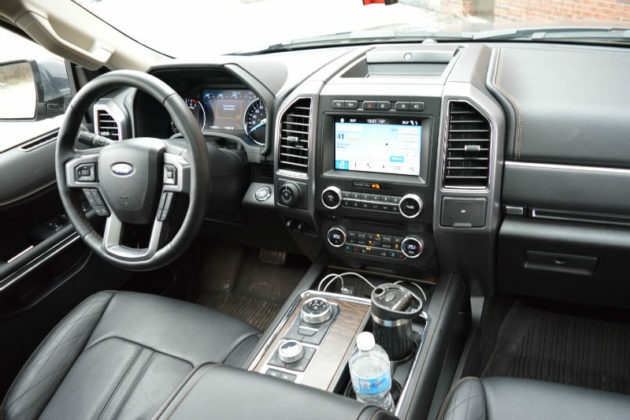 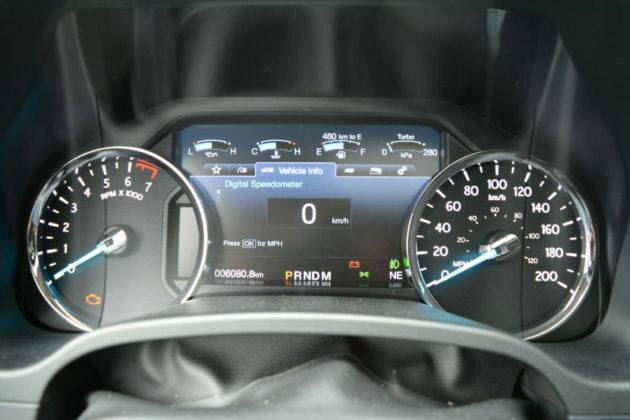 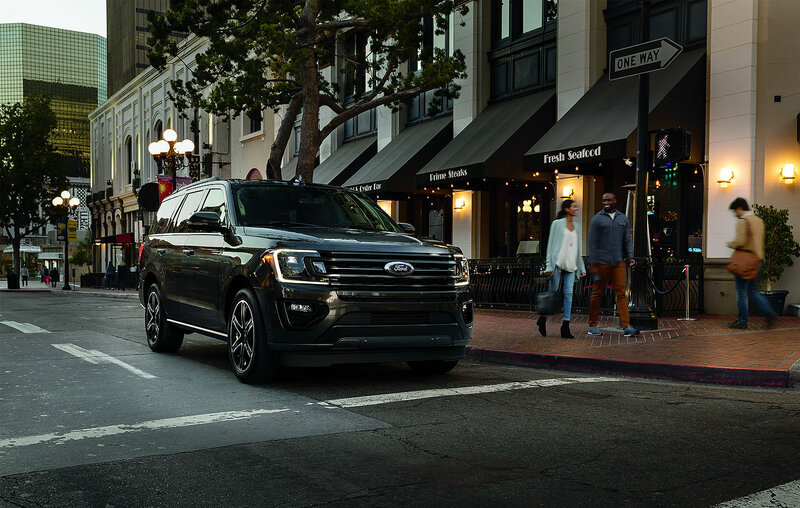 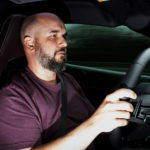 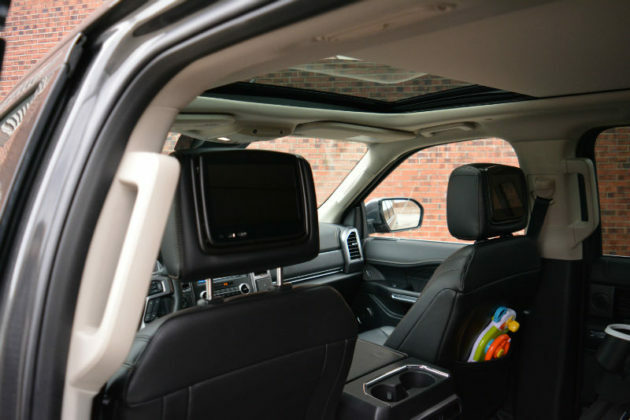 Home Should-you-buy Should You Buy a 2019 Ford Expedition? Should You Buy a 2019 Ford Expedition? If it’s come to this, to buying a very large, full-size SUV, then you have very specific needs. 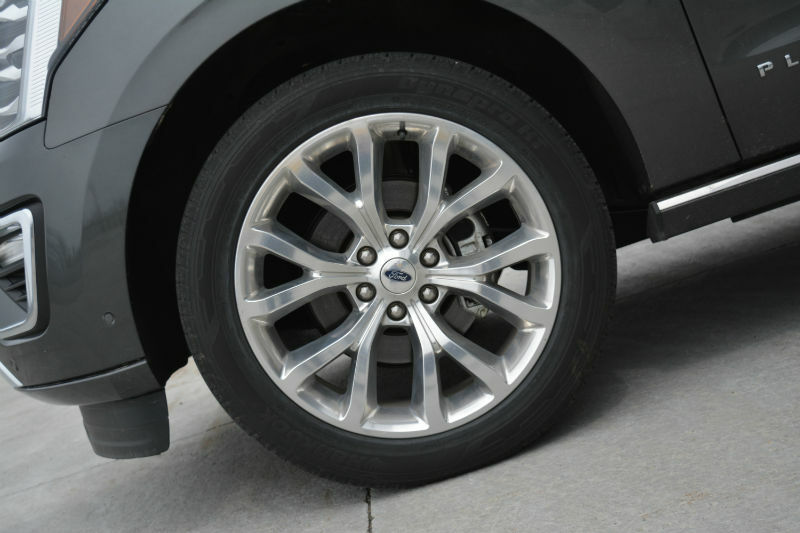 Lucky for you, there’s nothing the new 2019 Ford Expedition cannot do; tow up to 9,000 lbs, carry up to 8 passengers or a new engine, racing seats and r-compound tires for your Fiesta ST weekend track weapon. 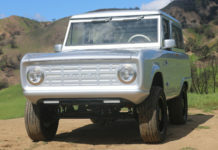 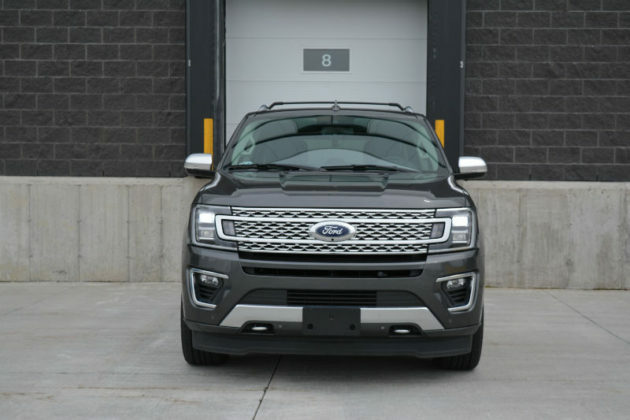 Ford and Lincoln are extremely serious when it comes to these truck segments. The luxury large SUV category is busier than the “regular” non-luxury, which tells you loads about where the car business is today. If you’ve got $90+k to spend on a truck, BMW, Cadillac, Infiniti and Mercedes will gladly take all your money. 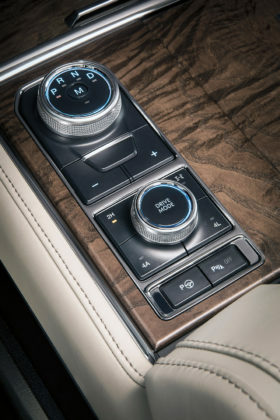 While the new BMW X7 is enticing, we’re fans of the new Navigator. 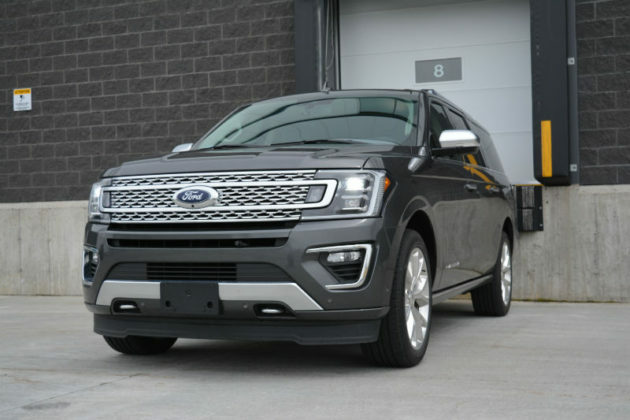 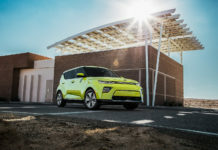 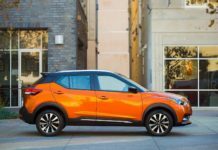 However, if your budget hovers in the $60,000 to $75,000 range and have high expectations, your options dwindle in numbers. 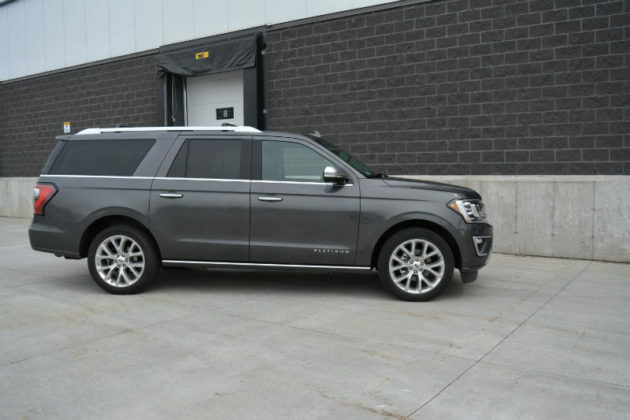 If I were in this market, the $75k Dodge Durango SRT would end up in my driveway because of the noise. 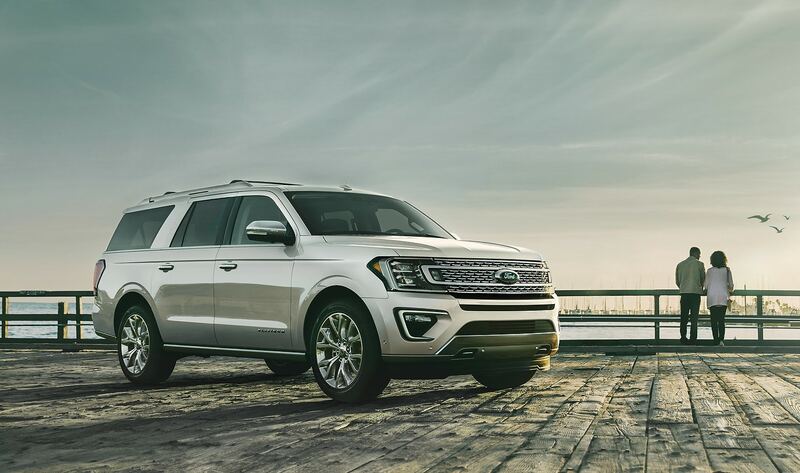 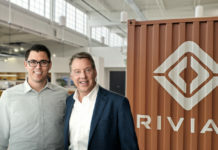 Having said that, this leaves the GM quartet and the hero of this story, the 2019 Ford Expedition. 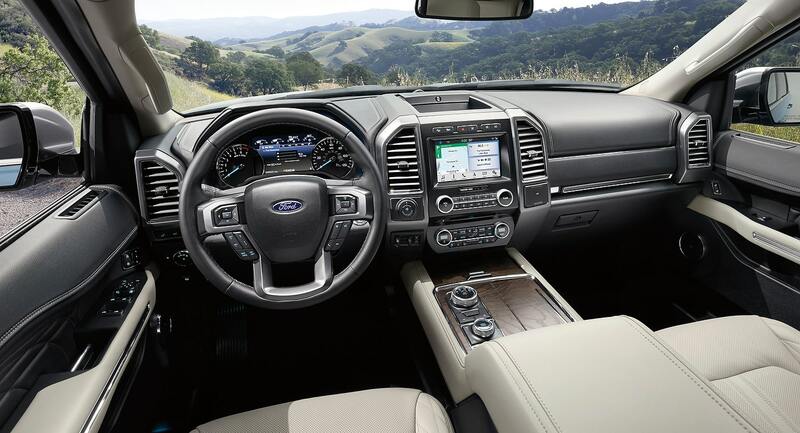 The new Ford Expedition is unbelievably refined and quiet. 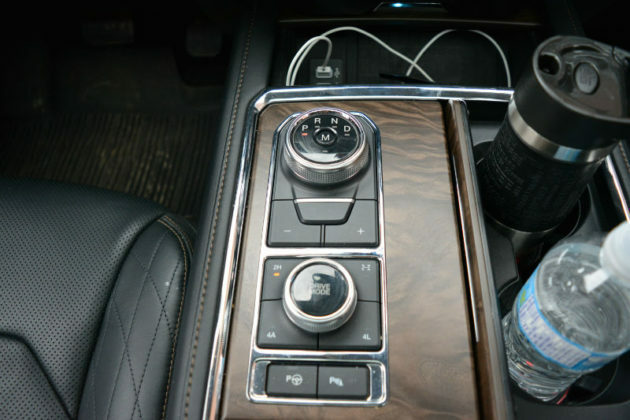 It’s creamier than the current Cadillac Escalade and apparently, the Lincoln Navigator is even more cossetting. 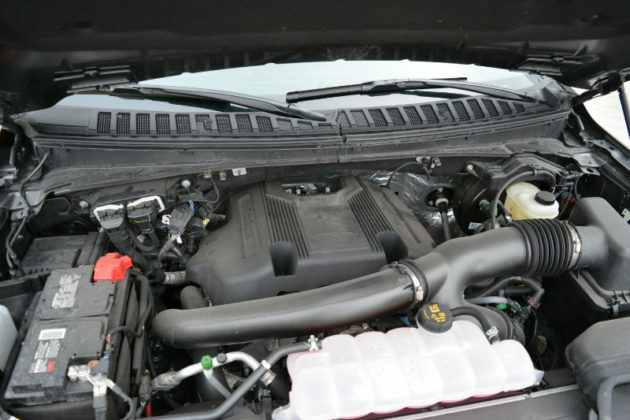 The 3.5-litre EcoBoost V6 is a rewarding engine. Its monstrous torque provides impressive accelerative power and sounds good to boot. 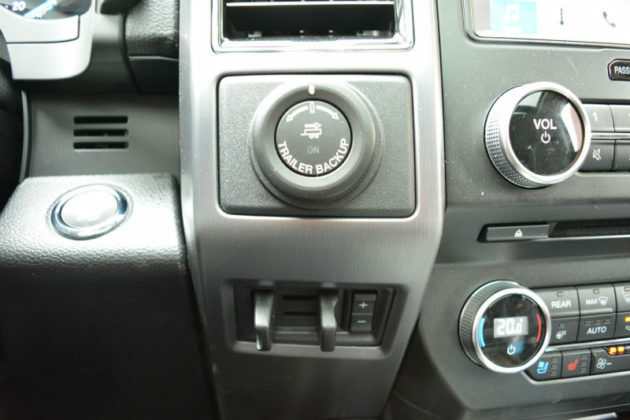 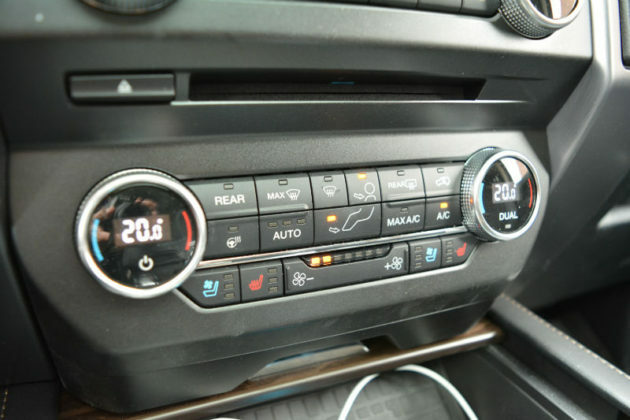 The 10-speed automatic transmission is a smooth operator. 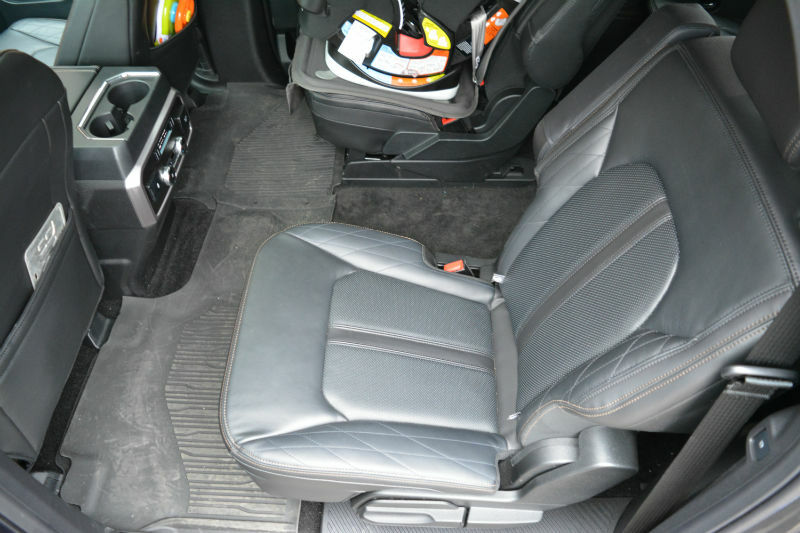 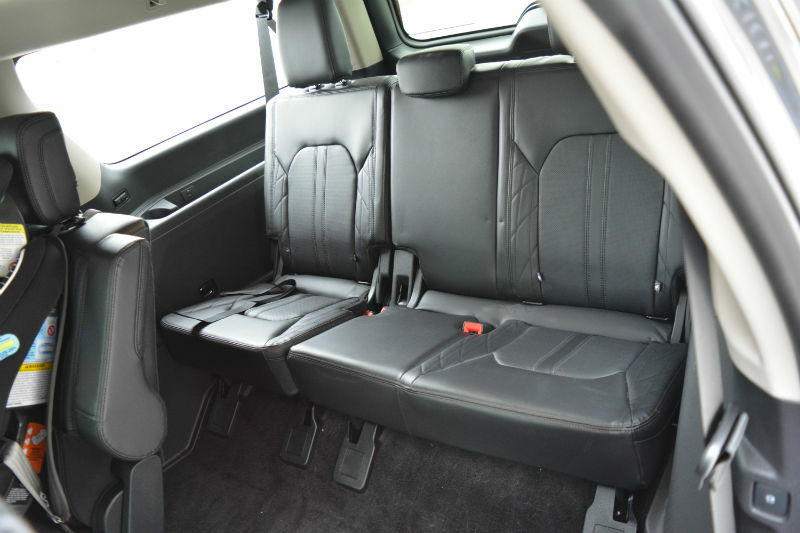 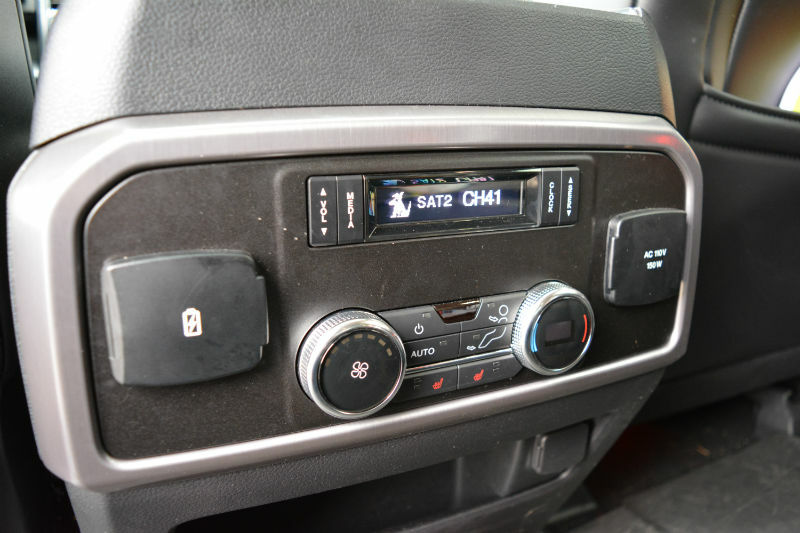 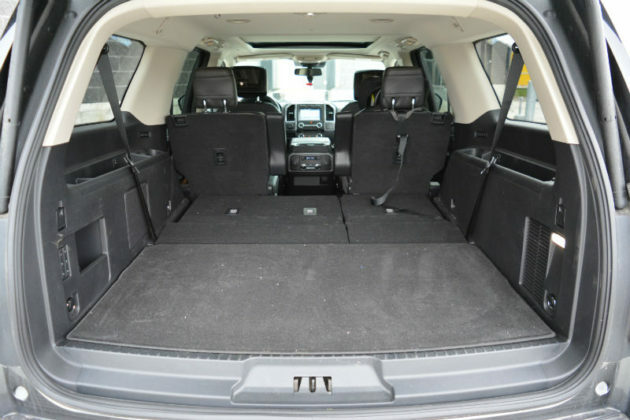 The regular wheelbase is immensely spacious with loads of storage and plugs strewn about the cabin. 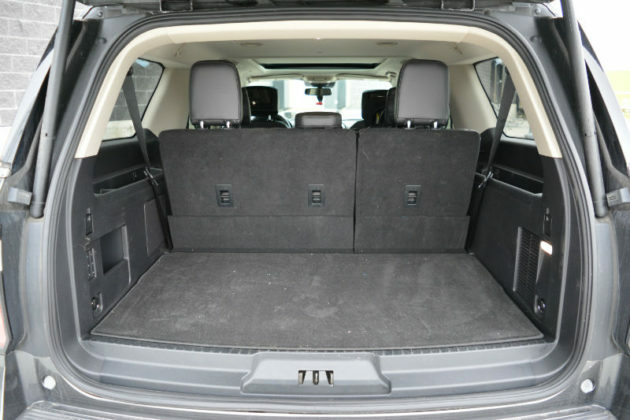 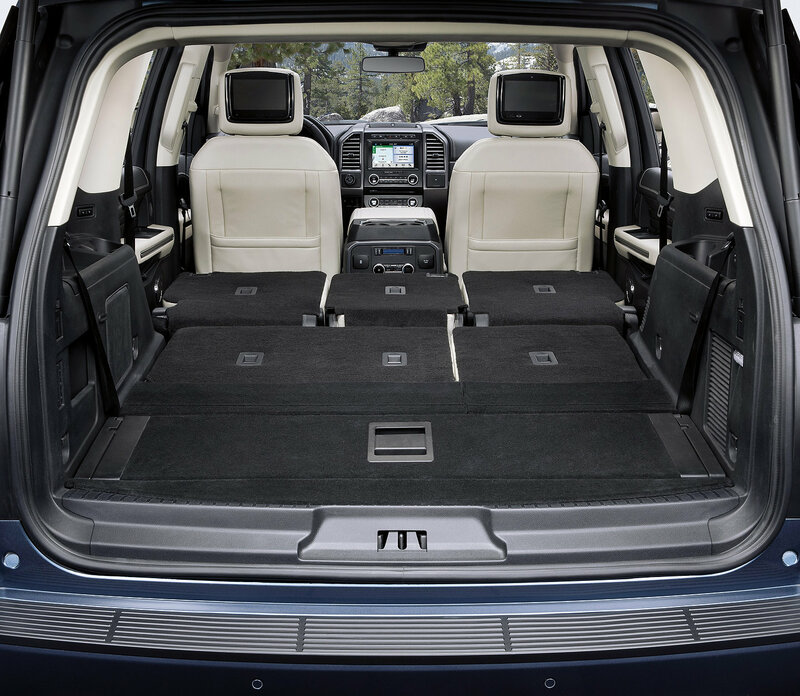 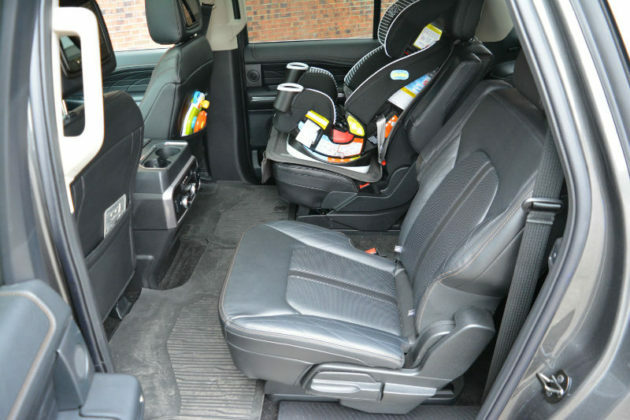 The Max could be referred to as the “Football Field” of full-size SUVs. 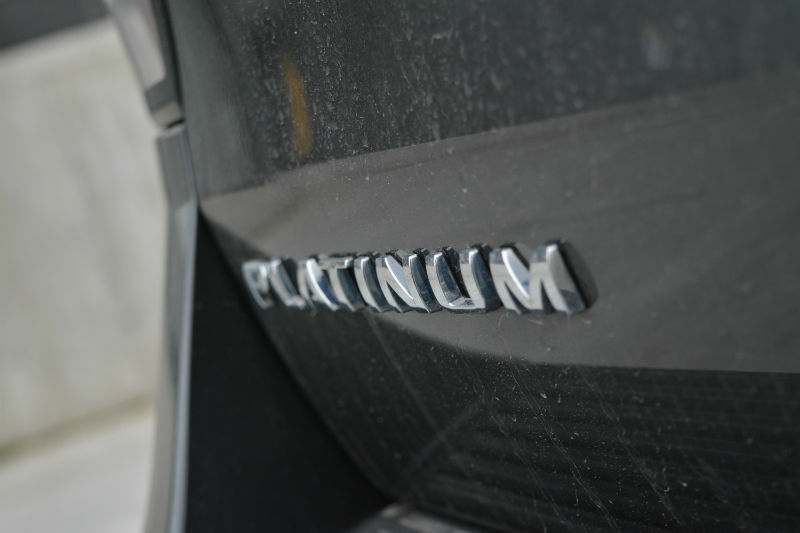 The level of features rivals most luxury SUVs. 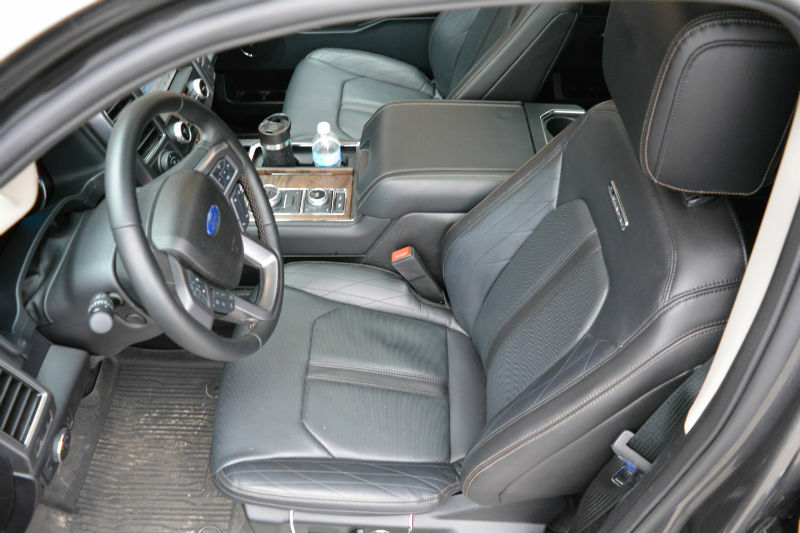 It’s missing massaging seats and that’s about it. 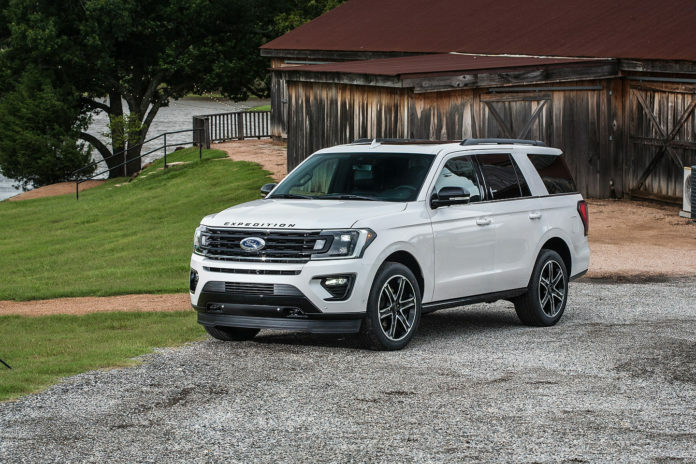 The very truck-like styling, both inside and out, of the Expedition is incredibly appealing if mostly because it does not behave like a rude and rudimentary truck. 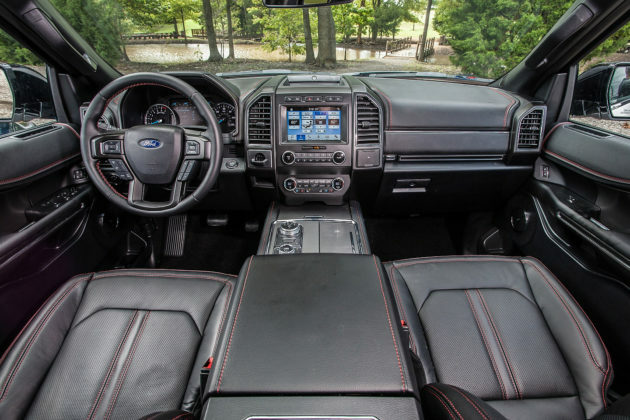 Reliability has not been the 3.5-litre EcoBoost V6’s greatest attribute. Although it was “rough” a few years ago, it seem to have improved slightly. 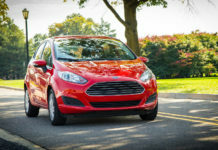 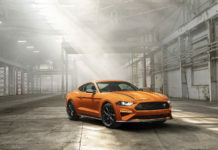 Although on paper the 3.5-litre EcoBoost matches and even bests GM’s naturally aspirated V8s on fuel economy, once on boost, the numbers skyrocket. This engine is all Boost, and little Eco in real life applications, or when towing. 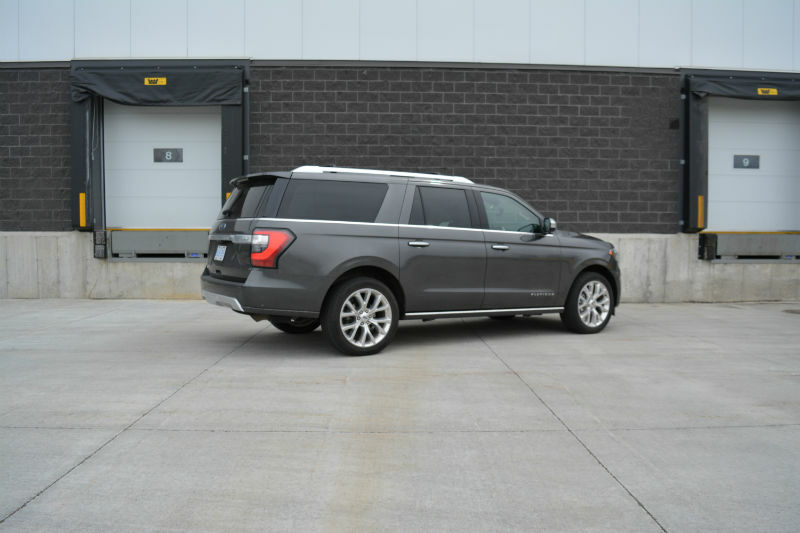 You shouldn’t buy a Ford Expedition because of its well documented depreciation. 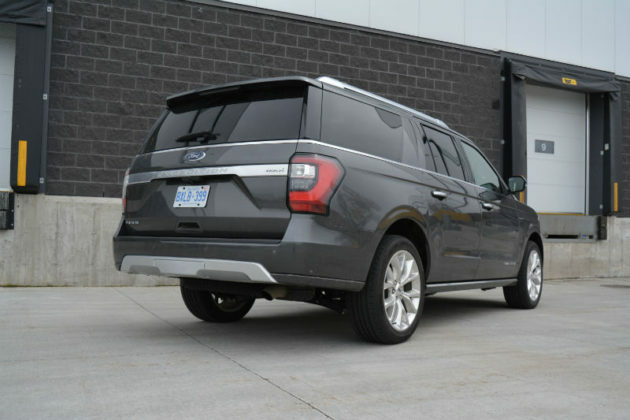 You can lease it however. 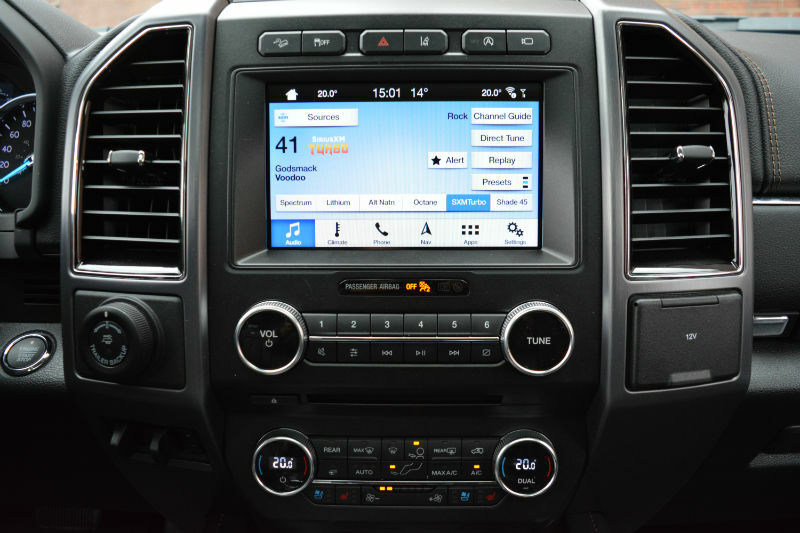 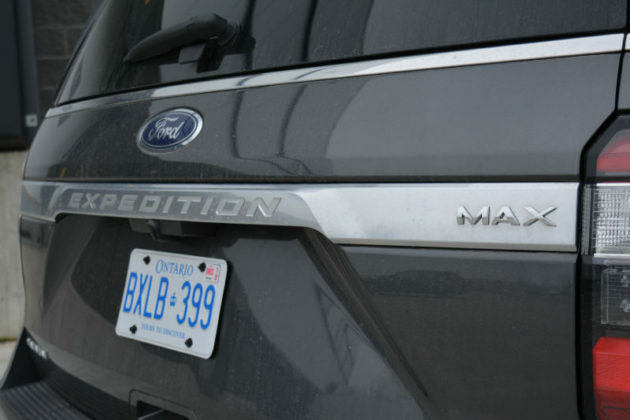 I think we’ve mentioned it already but we love the new Ford Expedition. With the sole exception of the Dodge Durango SRT, the Expedition comes out on top of all would-be competitors including the Toyota Sequoia (yes, they still sell it) and the Nissan Armada. 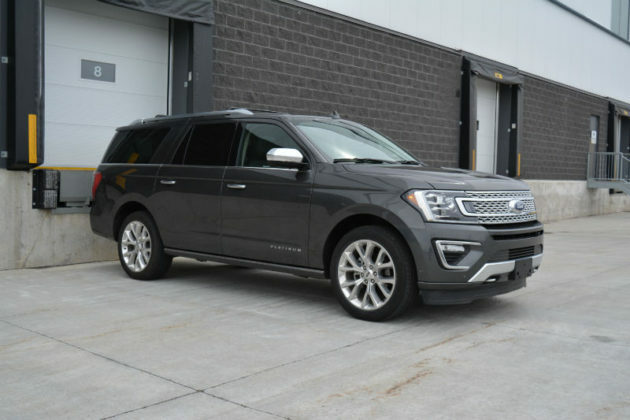 We’d probably spec’d out our Expedition the way our test subject was, including the Silver Spruce colour and the Stealth Edition Package. 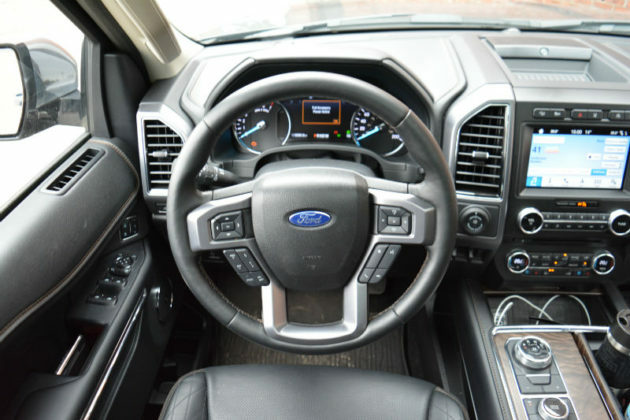 More than likely, we’d lease the truck for the rapid drop in value mentioned above – this is a generally common issue with full-size trucks.